The swordsmen of Ittō-Ryū dojo have been central to Blade of the Immortal, first as hated enemies, then cleverly repositioned as outlaws challenging the status quo, and subsequently considered so dangerous they’re to be hunted to extinction. 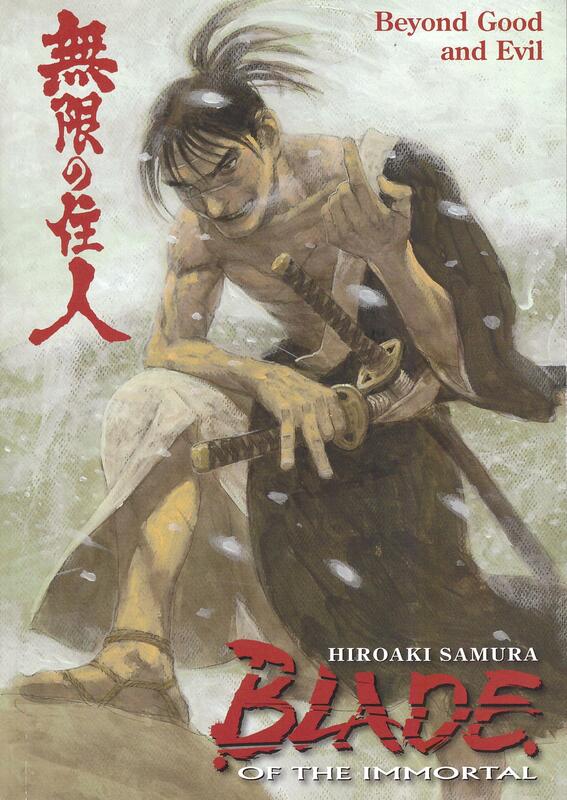 As Hiroaki Samura draws his series to a close he’s been including short interludes from the past, showing leader Anotsu Kagehisa gathering his allies, and another set even further in the past opens Beyond Good and Evil. The recently introduced Sōsuke is dying of injuries received in Raining Chaos. Even though a minor character in the bigger scheme, here we see how immense the overall influence of his manipulative nature has been, and Samura delivers an excellent death scene. That’s just a poetic interlude, though, as the main story concerns Habaki’s determination to wipe out the remaining Ittō-Ryū members, convinced they’re heading for a port, and adopting an appallingly disproportionate method of ensuring they can’t escape him. If we’d forgotten that Habaki is a villain far surpassing those he sought, it’s horrifically underlined. Manji and Rin, theoretically the central characters, haven’t been seen for some while, but they’re back in Beyond Good and Evil, unfortunately for them, arriving amid the carnage Habaki has instigated. 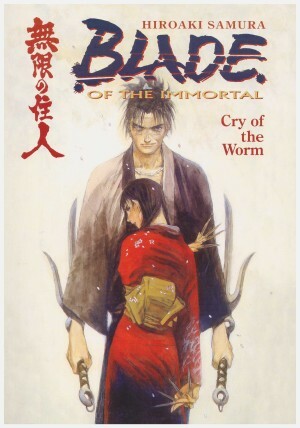 Theoretical definitions of good and evil, and the shifting sands of personal development shaping attitude have been an undercurrent to the violence and terrific adventure since Blade of the Immortal began. Therefore, perhaps just the addition of a question mark to the subtitle would have rendered it fit as a subtitle for the entire series. 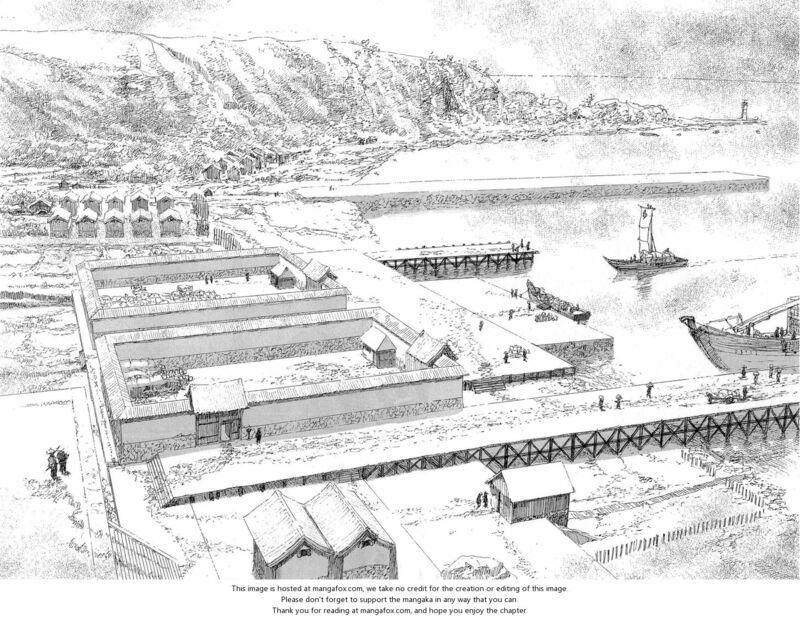 In fact it’s a chapter title, and more directly a dispassionate analysis of the people gathered in the port, their darker deeds named in public as a prelude to the final accounting. Even for a series where the standards have remained so high, it’s astonishingly good. It was Samura’s masterfully illustrated sword battles that caught the eye last time, but here he switches back to excellent visual characterisation and some lovely landscape scenes. Pretty well all human emotion has played a part in Blade of the Immortal, and Samura’s intuitive art conveys this amazingly, sometimes subtly, eyes just downcast, but often with full artistic fury, creating a series of memorable portraits. Tease and anticipation are the abiding feelings by the end. Samura has continued to add grotesques, gathered much of his prominent cast in a single location, aired their differences and their allegiances, but avoided the inevitable clash. 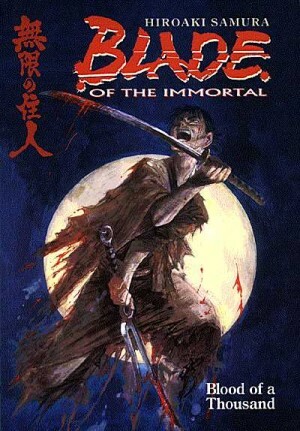 That’s a matter for Vigilance, the penultimate Blade of the Immortal graphic novel, when surely all hell breaks loose.